"The possession by students of telephone paging devices, commonly referred to as beepers, cellular telephones and portable electronic devices that record or play audio or video material shall be prohibited on school grounds, at school sponsored activities and on buses or other vehicles provided by the school district." There are two exceptions listed in the bill - if your student is a volunteer fireman or needs it due to a medical condition. Check it out for yourself - you can't make this stuff up people! 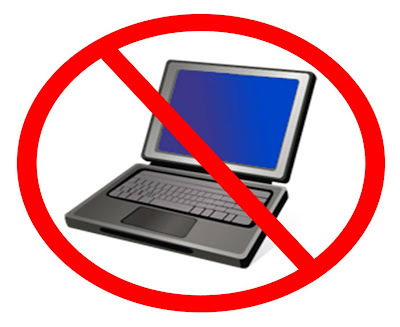 I would assume that a laptop - since they do record and/or play video - would fall under the category of banned portable devices. If you teach in a school with a 1-1 initiative is the only way for your students to have their laptops in class to have them all become volunteer firemen? Have the legislators that proposed this bill been in a classroom in the past 50 years? I can't imagine this bill has any chance of advancing but just knowing this is a proposed bill should cause teachers who encourage technology in their classrooms to shake their heads at how far we still need to come.